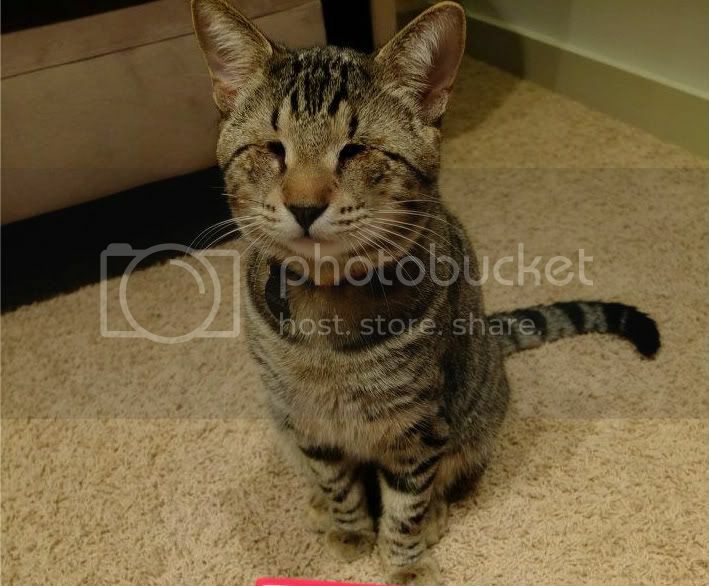 Oskar the Blind Kitten was a big hit on YT. I found the fb page too. Oskar came to my attention a while ago.. I think a news item about the vid going viral. This is a great thread, Rumpole! I love little Oskar! Oskar has his own Facebook page too! I did have a glance at the fb page... I'll copy some info here for people who don't do fb. Saturdays are our favorite because we get to spend plenty of time at home with Oskar and Klaus. Nothing beats the joy of hanging out with our two special boys! When Mick Szydlowski and his wife, Bethany, hopped in the car to pick up an old autoharp they’d seen on Craigslist, they had no idea they’d be coming home with the next YouTube star. But it didn’t take long for the animal-loving couple to decide that Oskar, a blind kitten and the last of the litter belonging to the folks selling the autoharp, was coming back to Omaha with them. Fate had other plans, though, and Oskar — who was born without fully-formed eyeballs — quite literally landed in their arms. Adventures of Oskar & Klaus: The Search for Bigfoot BOOK!